The Olmoti Safari is an experience of a lifetime. The owner of Kibo Guides and Tanganyika Wilderness Camps offers an extraordinary 11-day safari and cultural tour to help support the Olmoti clinic. Cost: $3,730 for adults, and $2,815 for children under 14. Each of the safari's participants also contributes $3,000 to our non-profit, Olmoti Clinic/Our One Community. Included in the price: 11 days of accommodations, food and beverages, airport transfers, park fees, professional guides and 4x4 safari vehicles. The world's best wildlife viewing sparks wonder that remains with The Olmoti Safari travelers long after leaving Tanzania’s internationally famous parks. Elephants, giraffes, lions, leopards, baboons, gazelles, hyenas, and more than 1,100 bird species, give visitors a close-up, once-in-a-lifetime window into animal life: an elephant baby hugging its mother, thousands of wildebeests prancing in a migratory parade, giraffes intertwining their slender necks, and lions striding in search of prey. Arrival at Kilimanjaro International Airport (JRO). Guests are met and transferred to RIVERTREES COUNTRY INN situated on 10 acres nestled in the foothills of Mt. Meru. Relax and enjoy the tranquil surroundings of this picturesque estate. Departure to Olmoti and the KAMBI YA TEMBO LODGE, a small luxury tented camp with stunning views of Mt. Kilimanjaro. The camp consists of 14 tents with private en suite bathroom facilities. Upon arrival in Olmoti, visit the clinic and the new Health Center. The clinic director, Dr. Richard Nkambi, will discuss the medical services offered, diseases treated, and the overall health of the community. Proceed to the Lodge for lunch and relaxation. At 4:00 p.m. a game drive, and a wildlife walking tour will be offered. Prior to dinner at 7:30, enjoy drinks and conversation. A morning game drive features a chance to see huge elephant bulls, along with a large variety of other species. Brunch at the lodge precedes a tour of the Maasai community of Olmoti. A visit to the new primary school will include a meeting with the head teacher along with playful interactions with the children, sharing the gifts and supplies the travelers have brought. A meeting will also take place with the secondary school students sponsored by previous travelers. Visit the surrounding Maasai bomas before returning to the Lodge. Drinks will be served around the fire pit prior to dinner. Depart with your naturalist guide for a spectacular game drive through Tarangire, Tanzania’s third largest national park and sanctuary for an unusually large elephant population. Majestic baobab trees are a unique feature of the park. After a box lunch and a daylong game drive, arrive at the marvelous MARAMBOI TENTED CAMP where luxury tents include en suite facilities and private verandas. The infinity swimming pool is surrounded by rolling grassland where zebra and antelope graze close by. Full day game drives in Tarangire National Park and another enjoyable overnight at Maramboi Camp. Swim, relax and enjoy drinks around the pool before sharing the camp’s famous barbeque. Game drives continue through the Tarangire Plains and Lake Manyara Nationa Park, which attract huge flocks of flamingos and other wading birds, often intermingled with wildebeest, elephant and warthogs. You can watch for tree-climbing lions for which the park is famous. A late lunch will be served at KITELA LODGE. The luxury lodge is situated on the top of a valley overlooking a coffee plantation. Afternoon options include a strenuous hike to explore Elephant Caves with a Ngorongoro Conservation guide, a tour of the plantation, and a swim in the fabulous infinity pool. The spa offers massages. Your private fireplace is lit as you enjoy drinks and a buffet dinner. the vast grasslands of the crater floor. Spectacular animal life can be found throughout the year due to the permanent availability of grass and water. Approximately 25,000 large animals live in the crater, with one of the densest known populations of Maasai lions. This volcanic crater is one of the largest calderas in the world, a UNESCO World heritage Site, and voted one of the seven Natural Wonders of Africa. After climbing the wall of the crater in late afternoon, you will drive on the remote Endulen Road known for its diverse landscapes and remote communities. Around sunset you arrive at LAKE MASEK SAFARI LODGE on the rim of Serengeti. Enjoy evening drinks while watching flamingos on the lake. large numbers of lion, cheetah and leopards. You will often witness predator-prey interactions among these animals. 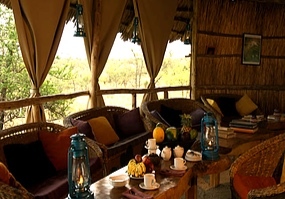 to KUBU KUBU TENTED CAMP, the recently opened 5-star tented camp within the park. 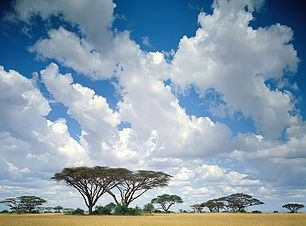 Its location on a mountain slope provide the most spectacular view in all of Serengeti. The 25 spacious en suite tents are designed to blend into the African bush experience. 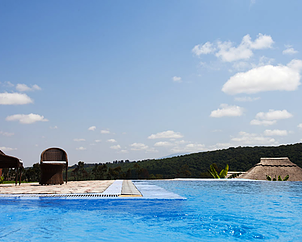 The swimming pool is a welcome sight at the end of your first day in Serengeti. 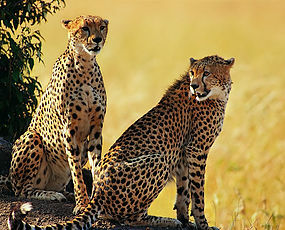 Enjoy a full day of game drives as you continue to view the incredible wildlife in Serengeti Park with a picnic lunch. Return to Kubu Kubu Lodge to swim, have a massage, and enjoy the expansive views of the Serengeti plains. Drinks and dinner end a memorable day. million years. From these discoveries, scientists conclude that humans evolved in Africa. The museum on site documents the work of Louis and Mary Leakey who made these incredible discoveries. 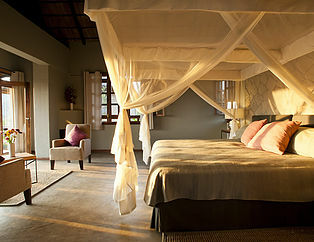 You will return for another memorable night at KITELA LODGE. Morning options include a visit to the Hadzabe and Iraqw tribes, indigenous ethic groups and among the last hunter-gatherers left on earth, or relaxing at Kitela. After lunch drive to Kilimanjaro Airport for departure. For those taking late flights, an early dinner can be ordered at RIVERTREES COUNTRY INN. RESERVE NOW for JUNE 2019!